Digital TV through an aerial (Digital Terrestrial Television - DTT) looks set to be affected by radical changes in the next decade. 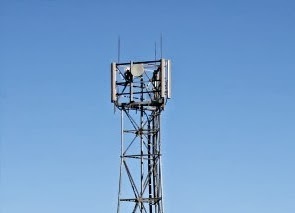 Some frequencies previously used for TV have now been reused for 4G mobile services. With intense lobbying from the mobile phone operators, Ofcom proposes to remove Freeview digital terrestrial television services from further frequencies from 2018 to provide capacity for increased demand for data on the move, possibly for a future "5G" service. This is known as 700 MHz clearance. To ensure that all TV services could continue to broadcast on Freeview, but using less space on the airwaves, a switch to the newer DVB-T2 standard is being considered. This standard of broadcasting is already used for Freeview HD and provides more bandwidth compared to the current DVB-T standard. To encourage uptake of DVB-T2 Freeview receivers, two additional temporary multiplexes are launching from 2014, which would broadcast extra HD channels, including extra BBC channels, using frequencies that won't be needed until 2018. On this page, track the latest developments, read analysis of the changes and check out in simple terms what it might mean for you. Reference Guide: Where would the new Freeview HD channels be available and on which frequencies? Frequency Clearances: What does it mean for your Freeview reception?